As part of the reconstruction of the Wacker Drive viaduct along the Chicago River, CRJA-IBI Group designed a major highway intersection and streetscape installation. The interchange, at the eastern end of the Eisenhower Expressway, welcomes motorists traveling from the west into Chicago’s Loop business district. 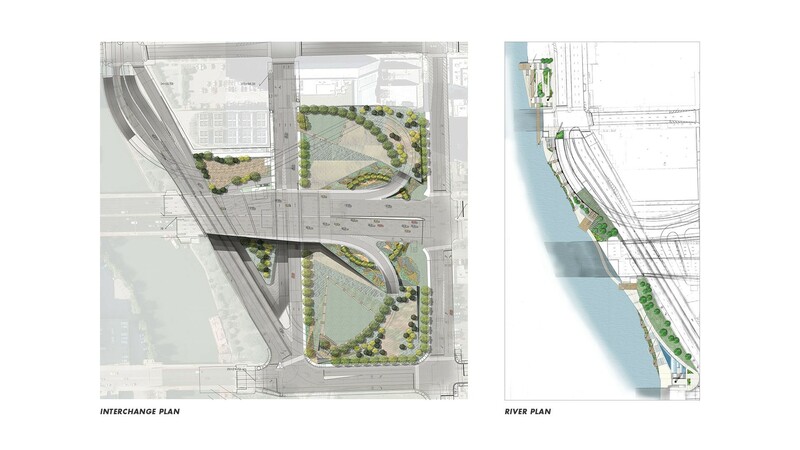 Design goals of the interchange included creating a highly visible entry statement and transitioning the motorist from the high-speed environment of the expressway to the local street character and quality of the Loop. 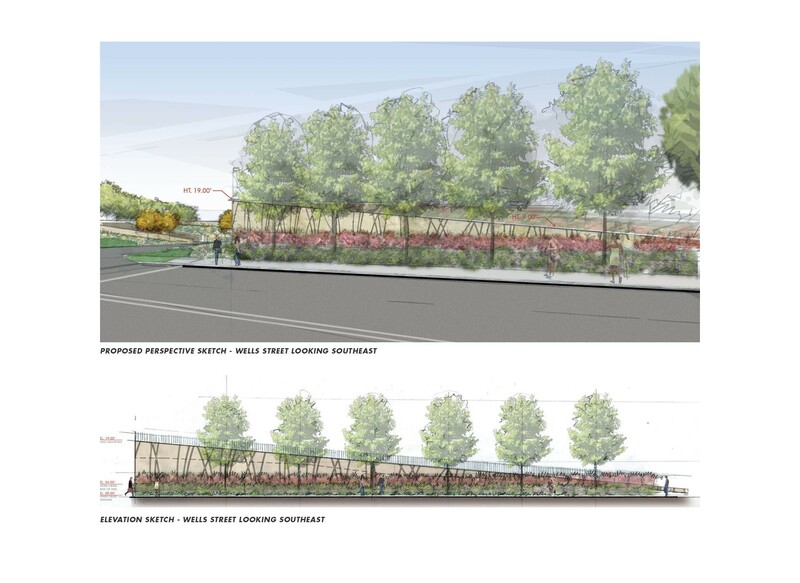 CRJA-IBI Group prepared a series of design proposals using landform, plantings, and formal elements such as planters and statuary to create this entrance expression. The infield areas contain accessible passive parks dominated by gently sloped lawns for sunning, sledding and light recreation. The major vehicular entry along Congress Street displays native shrubs, perennials, and annual display — a “gateway green” from the west into the heart of Chicago. 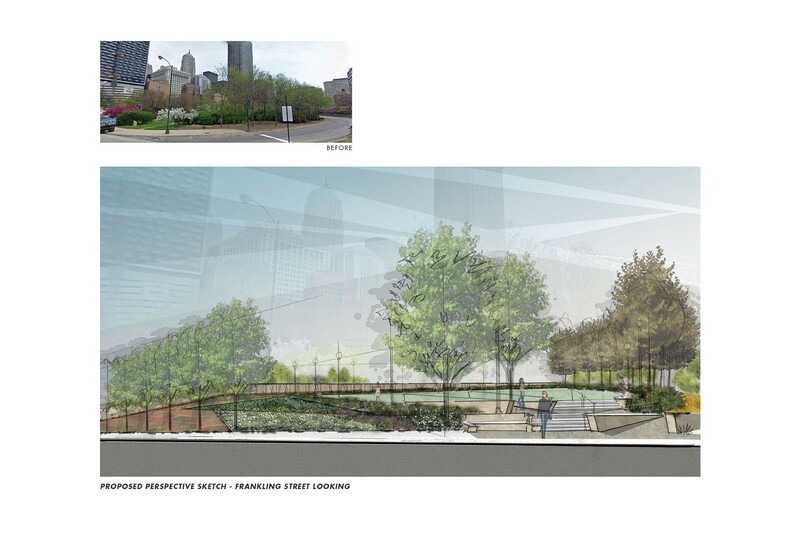 Conceptual riverfront design studies were also created by CRJA-IBI Group for the City.